Ideas are born, thoughts and imaginations penned and experiences shared. In black and white prints these records are called books and the compilation is called a Library. 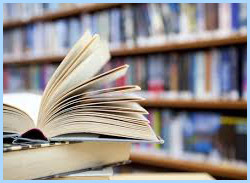 In Sai Samarth the Library is modern and has a wide range of meticulously selected collection of text books on all subjects, quality reference books, entrance books, journals, magazines, interactive CDs and other learning resources. Students can also use this room for quiet self-study. In addition the Vedic students have access to an exhaustive e- library permitting access to leading journals and science magazines.